Dr Rusni Hassan is an associate professor and the deputy dean at the IIUM Institute of Islamic Banking and Finance, International Islamic University Malaysia (IIUM). She is a former member of Shariah Advisory Council, Bank Negara Malaysia and member of the following institutions: Association of Islamic Banking Institutions Malaysia, Shariah Committee for HDFC and HDC Maldives. She is a registered Shariah advisor with the Securities Commission Malaysia and is the secretary for the Association of Shariah Advisors in Islamic Finance Malaysia and the International Council of Islamic Finance Educators. She has received awards such as ‘Promising researcher’ at IIUM in 2012. Her work and contribution to Islamic finance have also been recognized internationally when she was listed among the ‘Top 10 Women in Islamic Finance’ by CPI Financial in 2013. Mohd Nazri Bin Chik has been Group Chief Shariah Officer at BIMB Holdings Berhad since May 2015. He was first appointed as Secretary of the Shariah Supervisory Council in 2011. He initially joined Bank Islam Malaysia in June 2004 and served the Bank for five years in various designations including Senior Manager– Head of Shariah Division. He later joined Noor Investment Group, Dubai UAE as its Shariah Audit Manager for a brief period. At Noor Investment Group he was responsible for strengthening the Shariah governance framework of the Noor Investment Group, Noor Islamic Bank (NIB) and Noor Takaful (NT). He serves as Vice Chairman of Sharia Supervisory Council at Amana Bank PLC. During this time, he has been appointed as a Member of the Shariah Supervisory Council until he rejoined Bank Islam in January 2011. 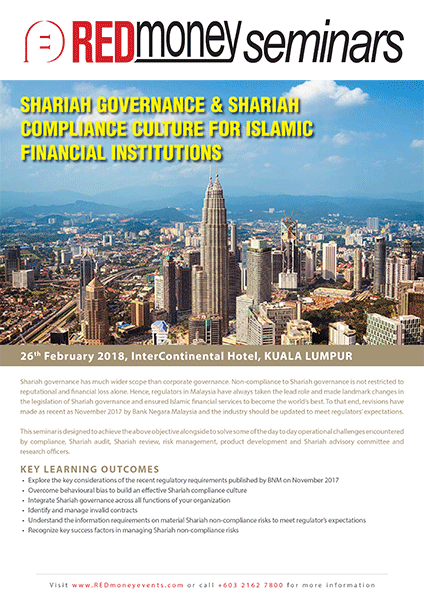 He is also an Accredited Trainer for Islamic Banking and Finance Institute of Malaysia and a Member of the Shariah Supervisory Council of Amana Bank Limited, Sri Lanka. Zikri spearheads Amanie Advisors’ Head Office in Kuala Lumpur as the Chief Executive Officer. He joined Amanie Advisors in 2015 and since then was involved in various key Shariah consultancy and advisory services. His hands-on experience in Shariah risk management has remarkably enriched the Shariah audit coverage undertaken by his team on local and international clients. Prior to joining Amanie Advisors, Zikri gained his ground exposure as Financing Executive in Bank Muamalat Malaysia Berhad and RHB Islamic Bank Berhad. He then joined Bank Islam Malaysia Berhad where he led the Shariah Risk Management Department before joining Amanie Advisors. In the training field, Zikri is an Accredited Training Professional, granted by Institute of Leadership and Management, United Kingdom. 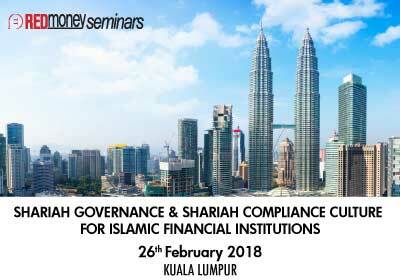 He has conducted hundreds of training sessions on Shariah related modules including Shariah risk management in multiple countries, such as Malaysia, Singapore, Brunei and Afghanistan.